in der Hochbegabtenlandschaft und in der Welt der Hochsensiblen ist das Thema „Psychologie und (Basis-)Emotionen“ nicht weit entfernt. Die Forschungsergebnisse von Herrn Dr. Paul Ekman haben bestätigt, dass Emotionen kulturübergreifend sind, und ihre Herkunft nur biologisch bedingt ist. Es ist für mich, Çiğdem Gül, eine große Ehre und Freude, im Namen unseres „Interkulturellen Netzwerkes für Hochbegabte“ euch Herrn Dr. Paul Ekman vorzustellen. Dr. Paul Ekman, Jahrgang 1934, war Professor für Psychologie an der University of California in San Francisco/USA. Er gilt als einer der weltweit führenden Experten für nonverbale Kommunikation. Dr. Ekman ist der Pionier der detaillierten Analyse von Gesichtern und Gesichtsausdrücken und vielfacher Bestsellerautor. Archives of Scientific Psychology kührte Dr. Paul Ekman im Jahr 2014 als Fünfter unter den einflussreichsten Psychologen des 21. Jahrhunderts. Im Jahr 2009 wurde Dr. Ekmanr vom Time Magazine zu einem der 100 einflussreichsten Menschen der Welt gewählt. Seit mehr als vierzig Jahren erforscht Dr. Ekman, wie Gefühle entstehen, wie sie sich äußern und wie man sie in anderen lesen kann. Er sagte in einem Interview von Michaela Haas in der Süddeutschen Zeitung vom 17. Mai 2010, dass es nur 43 Muskeln sind, mit denen wir mehr als 10.000 Gesichtsausdrücke erzeugen können, und er habe alle gesehen. „Ich bin bis Papua-Neuguinea und auf alle Kontinente gereist. Es gibt keinen Ausdruck, den ich nicht kenne.“ Um das vollständige Interview zu lesen, bitte diesen Link anklicken. Dr. Ekman betreibt ein Unternehmen namens Paul Ekman Group (PEG). Seine Tools für die Schulung der emotionalen Fähigkeiten wurden von (jedoch nicht diktatorischen) Regierungen, Sicherheitsorganisationen, Lehrern, Therapeuten, Ärzten, Verkäufern, Krankenschwestern, Ärzten und Führungskräften auf der ganzen Welt eingesetzt. Dr. Ekman hat persönlich Workshops für das FBI, die CIA, das US-Verteidigungsministerium, die Counter Intelligence School und die New York Police Department durchgeführt. Er arbeitete ebenso mit Dalai Lama und der Zeichentrick-Abteilung bei Disney. Nachdem Herr Dr. Ekman über dreißig Jahre als Professor gearbeitet hatte, ging er im Jahr 2004 in den Ruhestand. Mein deutschsprachiger Beitrag, die unten stehenden englischsprachigen Textauszüge aus der Homepage von Paul Ekman Group, die Fotos und die Links wurden mit ausdrücklicher und freundlicher Genehmigung von Herrn Dr. Ekman und seinem Team Paul Ekman Group, stellvertretend von Frau Stephanie Lefler (Director of Communications), veröffentlicht. in the highly gifted landscape and in the world of the highly sensitive persons, the topic of „psychology and (basic) emotions“ is not far away. The research results of Dr. med. Paul Ekman have confirmed that emotions are cross-cultural and their origins are only biological. It is for me, Çiğdem Gül, a great honor and pleasure, in the name of our Intercultural Network for Gifted to introduce Dr. Paul Ekman. Dr. Paul Ekman, born in 1934, was a professor of psychology at the University of California, San Francisco, USA. He is considered one of the world’s leading experts in nonverbal communication. 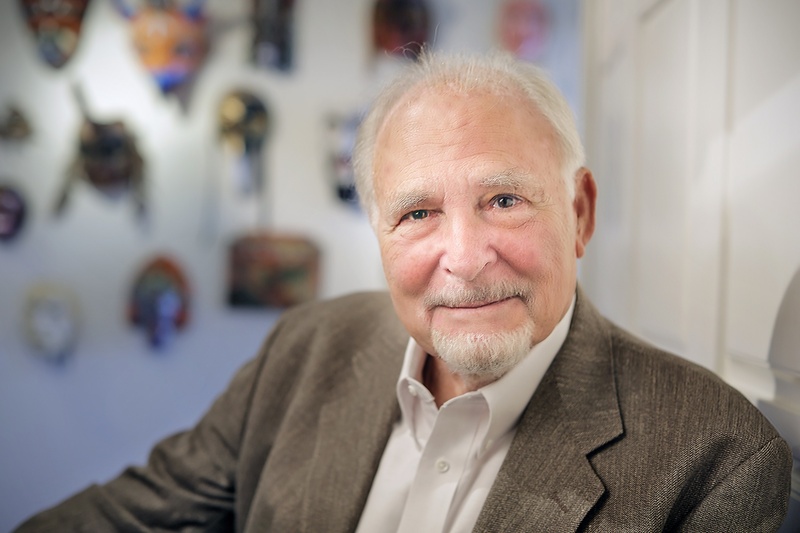 Dr. Ekman is the pioneer of detailed analysis of faces and facial expressions, and a multiple bestselling author. For more than 40 years Dr. Ekman researched, how feelings arise, how they express themselves and how they can be read in others. He said in an interview with Michaela Haas in the Süddeutsche Zeitung on May 17, 2010, that there are only 43 muscles we can use to generate more than 10,000 facial expressions, and he has seen them all. „I have traveled to Papua New Guinea and all continents, and there is no expression that I do not know.“ To read the full interview, please click on this link. „Dr. Paul Ekman received his Ph.D. in clinical psychology at Adelphi University in 1958. He served two years as First Lieutenant and chief psychologist at Fort Dix, New Jersey. Later, he worked as a professor of psychology at the UCSF medical school, retiring in 2004. Dr. Ekman’s research started in the late 1950’s, focusing on hand movements and gestures. In 1965, Ekman received a grant to examine cross-cultural studies of nonverbal behavior. This is what led to Ekman’s most famous studies in facial expression and emotion. In 1967 and 1968, Dr. Ekman traveled to Papua New Guinea to study the nonverbal behavior of the Fore people. He chose these people as they were an isolated, Stone Age culture located in the South East Highlands. Ekman’s research provided the strongest evidence to date that facial expressions are universal. This supported Darwin’s earlier claims and provided evidence against Margaret Mead’s anthropological argument. Ekman’s findings inspired the development of the Facial Action Coding System (FACS). FACS was the first and only comprehensive tool for objectively measuring facial movement. Ekman developed this tool along with W. Friesen in 1978 and later revised it in 2003 with J. Hagar as a third author. FACS remains the gold standard for identifying any movement the face can make. Ekman later teamed with Terry Sejnowski to study computer based facial measurements. In 1967, Dr. Ekman began to study deception. He worked with clinical cases in which patients lied about their emotional state. He studied patients who falsely claimed they weren’t depressed and later committed suicide. Upon examining films of the patients in slow motion, Ekman and Friesen spotted micro facial expressions which revealed strong negative feelings the patient was trying to hide. „Over the last decade, Ekman has worked to provide practical applications of his research. While earlier tools focused on learning to spot how others feel, Ekman’s recent work focuses on responding to others’ emotions. The Responding Effectively package explores how to respond in real-life scenarios. The package includes tools which focus on the workplace, at home, and with law enforcement here. Some of Ekman’s current work emerges from his close relationship with the Dalai Lama. Ekman spent over fifty hours in one-on-one conversation with the Dalai Lama. An ebook reflecting their discussions, a Moving Towards Global Compassion, is now available. Çiğdem Gül`s german language text is published with the permission from Dr. Ekman (USA), Paul Ekman Group LLC, representative of Mrs. Stephanie Lefler (Director of Communications). All rights reserved. English-language text passages marked as citation thanks to © 2018 Paul Ekman Group LLC, representative of Mrs. Stephanie Lefler (Director of Communications). All rights reserved. 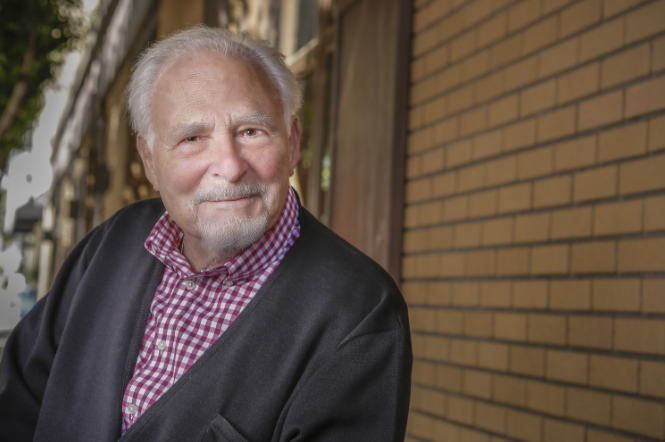 Pictures thanks to © 2018 Dr. Paul Ekman (USA) and Paul Ekman Group LLC. All rights reserved.